Now don’t tell me you get THIS in any normal blog. Anyone who knows the Editorial Team here at BOC will tell you that we really want Arron to write some blog pieces for us (Nonoxcol as he’s known round these parts). Well, he has, but this is completely different. He’s put together a crossword. Yes. Seriously. I apologise that in my New Year horror-zone I had completely forgotten this (and a Man in a Barrel piece I also want to put up) and so this should have been up weeks ago. I hope you’ll be able to click on the picture and get the full size version of the grid. It is very BOC-centric so hopefully you will get the references! My thanks to nonoxcol for all the effort put into this. This is no ordinary blog, eh? If you wish to comment on the appointment of Joe Root, please read TLG’s post below. Judging by the current reaction it’s all a bit of a shrug of the shoulders. I had to give up when the answer to “a pest that won’t go away” wasn’t KP…! Fruit Fly was my guess. Only one I’ve got so far as I am lying in bed ill trying to work out how I can walk the dog, help my daughter with her homework and do the accounts whilst not moving from my bed. Am I missing a clue for 2 down? The 2 across clue relates to 2 down! There is no 2 across. I have no idea why I haven’t spotted that before. I hope you enjoy this as much as I enjoyed compiling it. As already established (see above! ), some of it is for the cognoscenti – there are certain people I know will get these references without even trying, and some of them aren’t even named SimonH. However I am happy to help if you need a nudge in the right direction. 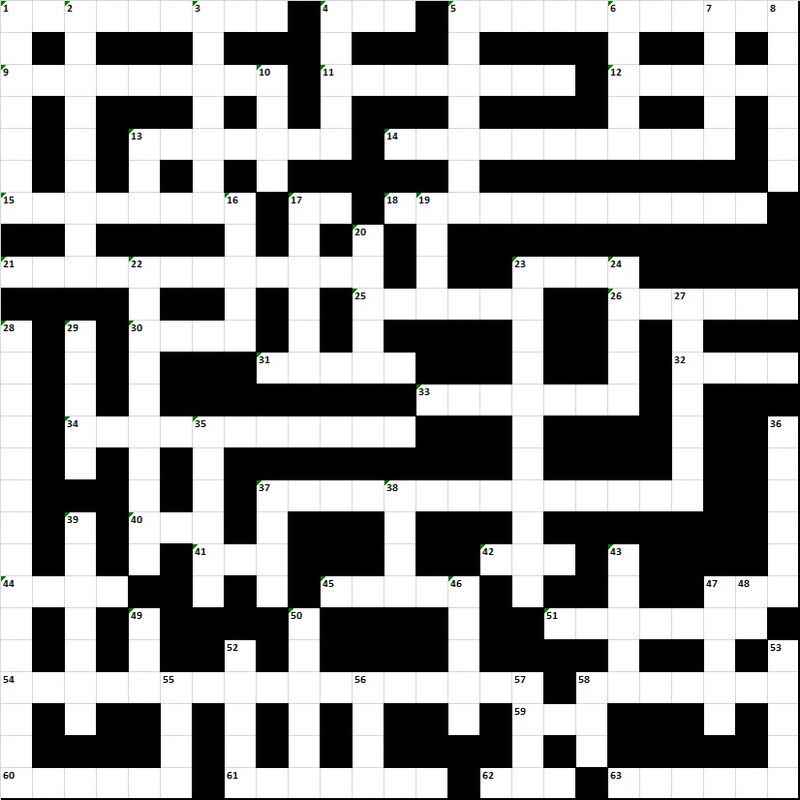 Hopefully there are enough of the more general clues to enable you to fill in most of the grid. It is largely derived from common topics and flashpoints in the two years of BOC and (before that) HDWLIA from Feb 2014 – Feb 2015. I won’t be around for most of the day due to our AGM, but I can sweep through any queries this evening. Great job Arron, got a reasonable amount due to the wasted time on the G during the period covered. I must admit I’m not the worlds best at cryptic clues though. If I can’t finish it can I just go and throw things at Trump and May as punishment? Thanks Arron but my inner masochist requires me to suffer through this. Although I’d far rather be throwing things at Trump and May. Was working through it last night. 1 across better not be what I think it is. All three of you are in there somewhere. How could you not be? Some of these are hard for a knackered brain like mine! Love the fact that one answer doesn’t have, or need, a clue! That was the idea from which the entire project sprang! I am getting no bloody work done because of this. My wife is not happy with you Arron! Loaded it up as a draft. Travelling today so will have a full look tomorrow and then publish. Providing nothing major happens. Just a heads-up – there’s a Tim Wigmore article on the Guardian cricket pages that’s worth a read. Puts so many of the regular “journalists” over there to shame. I do like to see a bit of 54 across appearing ATL for once. Tim gets it. I hope this commitment to thoughtful stuff continues. I’d love to cross words, but the size of the clues is absurd! Can you save the picture and zoom in? 4: Because Aggers knows his family, and he just wouldn’t do that sort of thing. 9: He doesn’t sing it.